The exciting conclusion of Pathfinder: Origins! Ezren the wizard spins a tale of family, betrayal, and revenge set in the dark alleys of Absalom, City at the Center of the World! Teaming up with Lem the halfling bard, Ezren uses his new arcane powers to settle an old score, but he must escape the sins of the past before charting a new destiny with the Pathfinder Society. 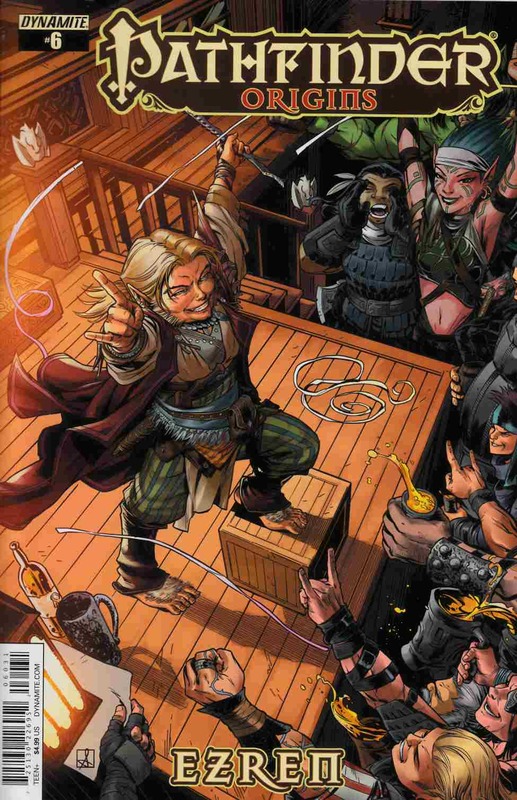 Sword-and-sorcery thrills from Pathfinder publisher Erik Mona (Pathfinder: Goblins!) and art from Leandro Oliveira (Pathfinder: City of Secrets). Contains pull-out poster map and official Pathfinder RPG bonus encounter!